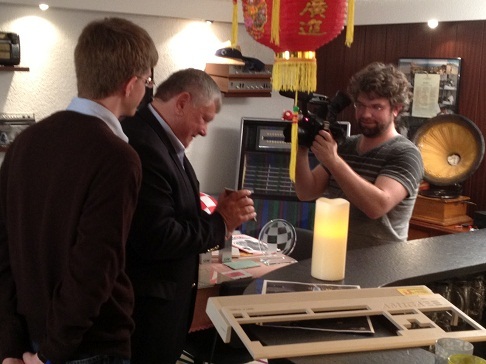 Sneak Preview: Viva Amiga Documentary! Hugi takes a look at the Viva Amiga documentary and talks with Zach Weddington, the maker himself. 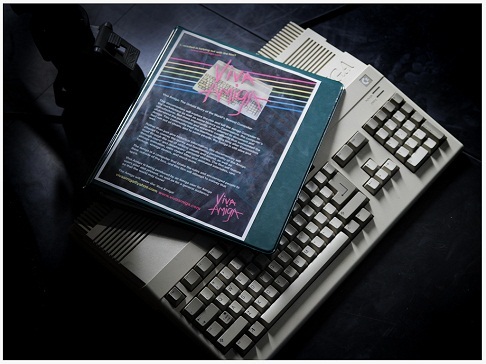 Viva Amiga Documentary - The Story of a beautiful machine! 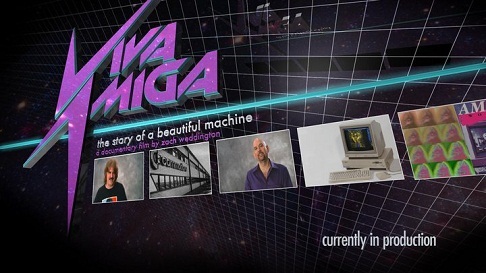 The Viva Amiga documentary is scheduled for a release in the fall of 2014. In our last issue, Hugi #37, from April 2012 we had an article about the Viva Amiga Party 2012 held in Holland which is also in the documentary. In this article there was also a small paragraph about the Viva Amiga documentary itself. You can read this article online here. 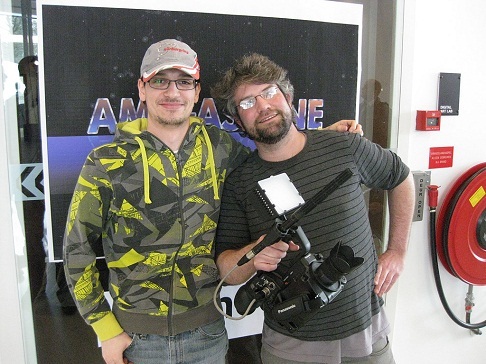 Now, more than 2 years later, a lot has happenend and much new footage has been shot and the Viva Amiga documentary is still being worked on by Zach Weddington and others. The Amiga was, by the way, a huge part of Zach's childhood. Ladies & Gentlemen, let's go backstage of this story about a beautiful machine: Amiga! Learn what this documentary is all about, who is in it and much much more. In short the Viva Amiga Documentary is about the rise and fall of the Amiga. It will show the passion of the Amiga community as well as some of the history of the Amiga. To understand the Viva Amiga Documentary it's important to know its structure and contents. What parts does the movie/documentary consist of? How would Zach explain and/or describe the 'chapters'? Zach explains: "The film is partly chronological and partly thematic. We begin at the launch of the Amiga, wind back to the development, then move through the 'glory days' of the Amiga. After the fall of Commodore, the film takes on a more philosophical tone, as we try to determine what made the Amiga so special to people." Hugi used several resources like websites and videos (see the links at the end of this article) and learned that the documentary itself might have an interview with Glenn Keller. 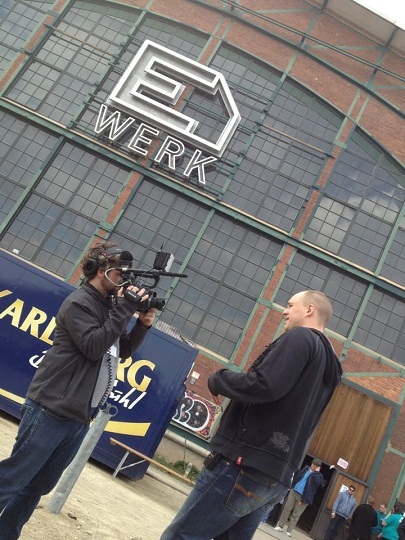 Zach also filmed in Europe. He went to Frankfurt in Germany to visit Petro Tyschtenko (former Amiga director of international material management and logistics in 1986), to the city Zoetermeer in Holland (Viva Amiga Party by amigascene.nl) and Saarbrucken (Revision 2012 demoscene party). 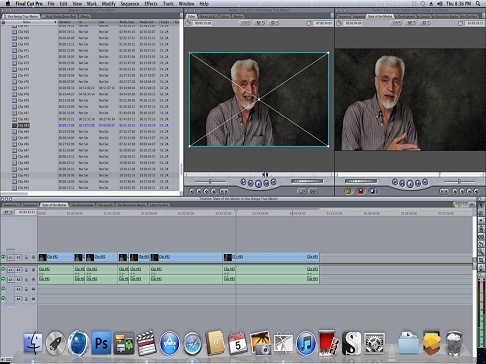 Zach also went to California to interview RJ Mical, Dave Needle, Mike Boom and Don Reisinger. Time to ask Zach about the most prominent and/or remarkable persons to be seen in the Viva Amiga Documentary. Which names can Zach confirm? Zach comments: "R.J. Mical (Amiga engineer), Glenn Keller (designed the Paula chip), Andy Finkel (Amiga engineer), Dave Needle (worked on the development of the custom chips that powered the Amiga computers), Jeff Porter (former Commodore Engineer – in charge of hardware development; he gave us the 500), Jason Scott (computer historian featured in Wired magazine), Bil Herd, Dave Haynie (Former Commodore Engineer – best known for the Amiga 3000), Tim Jenison (creater of the Video Toaster), some crazy Dutch animators who created a show called 'Purno de Purno', Trevor Dickinson (AmigaOne x1000) and plenty more!" The Viva Amiga documentary could not have been made without the necessary hard and software. We talked a bit with Zach to find out what is needed to make such a documentary. "We shot the film on a few different cameras, including a couple studio cameras from the Sony CineAlta line, a Panasonic AG-Af100 and a few others", Zach explains and continues: "The film has been edited and designed primarily on PowerMacs, but we have some animation created on an actual a4000, using DPaint IV. We are also using Cinema 4D on the Mac... interestingly enough, this software began its life on the Amiga! Very happy to be using it, it's great software." - The Glory Days, chapter 5, the Amiga was already launched..
- State of the Market. Nothing new, what the market for computers was like when the Amiga came out. - Broken Dreams. Heartbreak stories about the Amiga. - Overview of the footage shot in Holland like on the Viva Amiga Party. Zach told me at the end of January 2014 in an e-mail: "There's still a lot of work to do, but most of the hard work has been done. It took me a long time to edit down all the interviews, and now we are focused on visuals and music. Stay tuned! You'll be watching the film later this year." But that was January 2014. At the Vintage Computer Festival in May 2014 Zach said: "Wrapping up for a release this fall. Distribution might be in theaters, on cable like netflix or amazon.com, definitely filmfestivals." About a week before we released Hugi #38, in the beginning of June 2014, we got a final e-mail from Zach for this article at the Hugi main office in Holland. 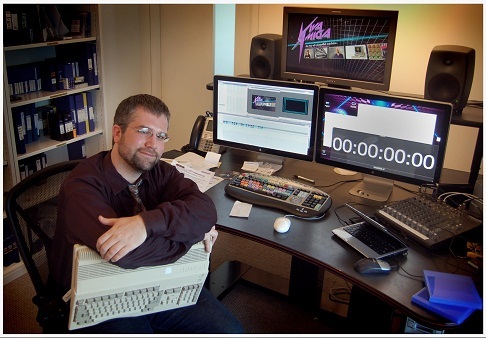 Subsequently we offered Zach to write some final words to you, our readers, and how to stay up to date on the development and release of the Viva Amiga documentary. Zach concludes: "Thanks again. You know, the best way to get updates is simply to check our media sites  and . Lots of updates and videos and stills there. Also check the Facebook. Distribution questions will be answered in November or December, hopefully. The film will be fully complete by then!" Hugi wishes Zach and everybody involved the best of luck in the approximately next 6 months to get the Viva Amiga documentary finally finished after such a long time and get it released and to be seen by as many people as possible.